I was in my car, parked, and it was raining. 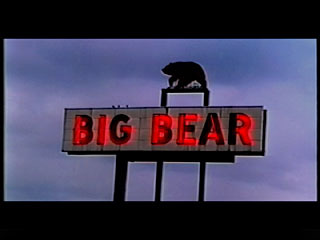 I was under a giant neon sign, a grocery store sign that hadn’t had all its letters lit since I was a kid. The battery in my camera was still good, so I pointed it out the windshield and began taping. It lasted long enough to catch the sky turning dark, and the sign turning to gibberish as its un-lit letters faded away, and a most unusual song playing on the radio. The whole thing felt like a funeral. This entry was posted on Saturday, December 24th, 2005 at 11:48 am	and is filed under Live Action. You can follow any responses to this entry through the RSS 2.0 feed. Both comments and pings are currently closed.